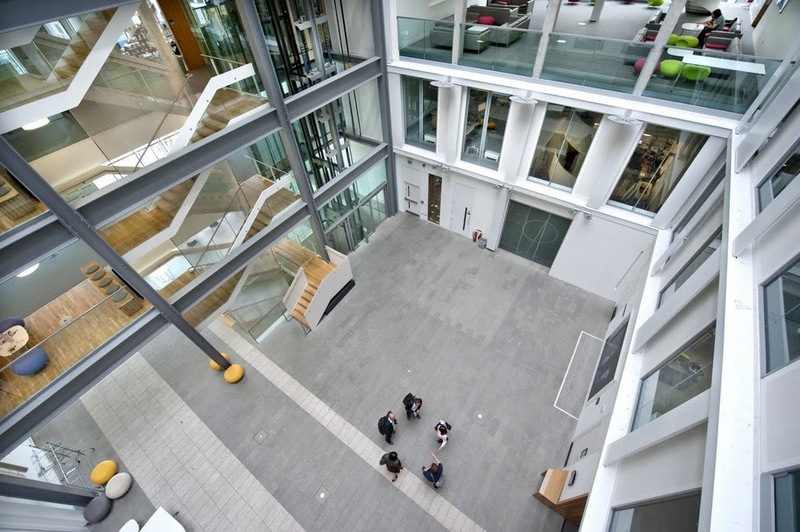 Our venue is the Informatics Forum, a modern (three years old) facility pleasantly located in the southern edge of Edinburgh's historic heartland (at the junction of Crichton Street and Potterrow). Informatics is in easy walking distance of the conference accommodation. For info on how to reach it when you first arrive in Edinburgh, see Arriving in Edinburgh. We have the use of the entire ground floor, which is the conference facility. This picture shows the view down onto its central forum.